Free Wahlburgers Burger on Saturday, July 26, 2014! 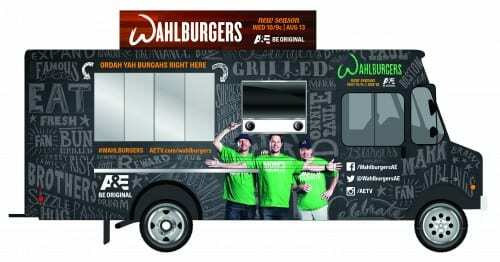 On Saturday, July 26, 2014 from 11 AM to 7pm, the Wahlburgers on Wheels food truck is coming to Faneuil Hall to promote the upcoming season of A&E’s Wahlburgers TV show. Stop by Faneuil Hall on 7/26/14 to receive a FREE Burger and Tator Tots from 11 AM to 7pm and look for the Wahlburgers on Wheels Food Truck! Yum! Will you be getting a free burger and tator tots from Wahlburgers! Will there be veggie burgers? I’m actually not sure, I hope so! If you are on twitter, I’d recommend tweeting Wahlburgers directly to see if they can let you know.